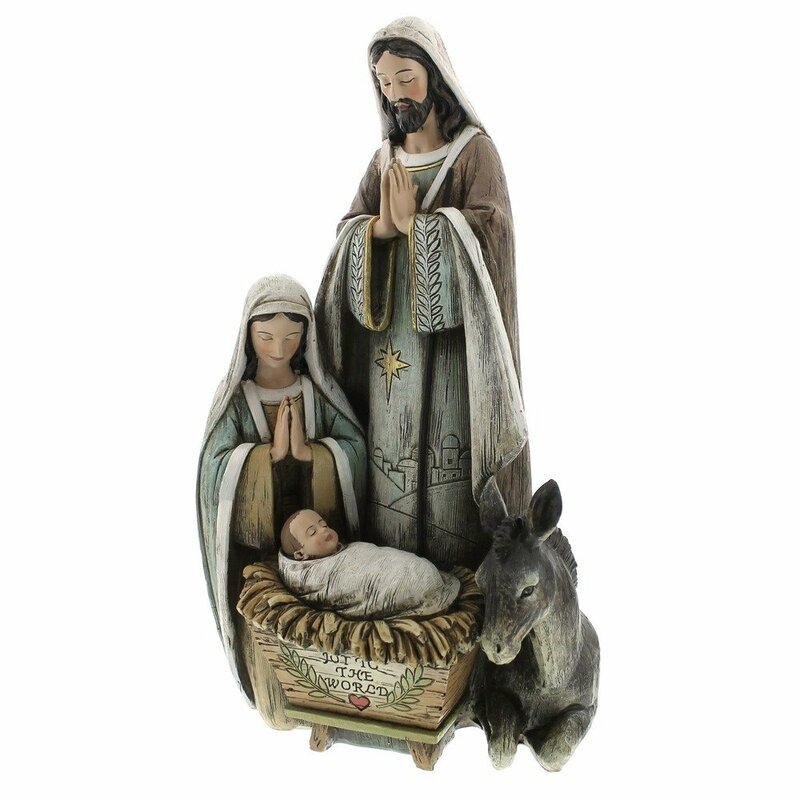 10.5" Holy Family with Donkey. Finish creates the appearance of wood grain. Part of Joseph Studio Collection. Finish creates the appearance of wood-grain.